Workers landscape the area near a new port under construction in Mariel, Cuba. Photograph: Franklin Reyes/APThe roadsides are agreeably empty. There are few buildings and – perhaps because it is a holiday – little sign of agricultural activity in the fields until Mariel announces itself with an ugly plume of sulphurous smoke belching out from a power plant. 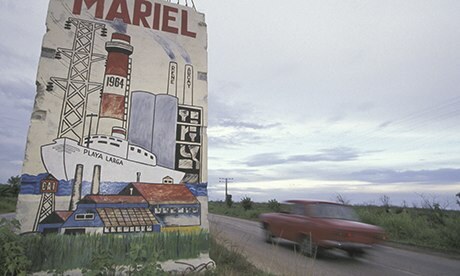 Mariel is poised to play an important part in Cuba’s development with a new deepwater container port and the free-trade zone built on the site of a former submarine base, a project that aims to exploit the planned expansion of the Panama canal by providing the best facilities in the region for giant vessels. “This is one of the biggest projects we’ve undertaken since the revolution. I hope it’ll help to end the blockade,” said María Vitória Bernase of the Havana-based Latin American and Caribbean Economic Association. Promotional material for the project suggests it will resemble the special economic development zones such as those that galvanised and opened up China’s and Vietnam’s economies. Compared with the rest of the island, firms will face fewer restrictions on hiring, lower tax burdens and no requirement to enter into joint ventures with local state-run firms. 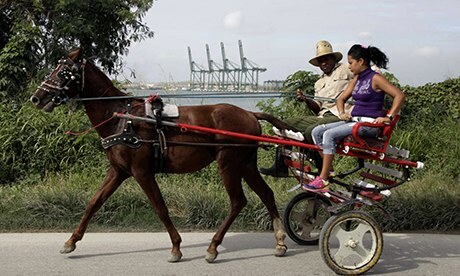 A horse-drawn carriage passes the port under construction at Mariel, Cuba. 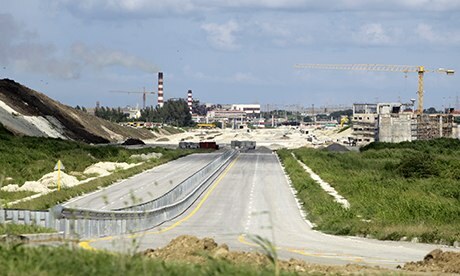 The project is the centrepiece of Rául Castro’s 2010 economic modernisation plan, which aims to improve efficiency and raise productivity by boosting incentives and upgrading infrastructure. Pejuero hopes the bar can be renovated in time for an expected rush of business when the first phase of Mariel’s redevelopment is completed next year. 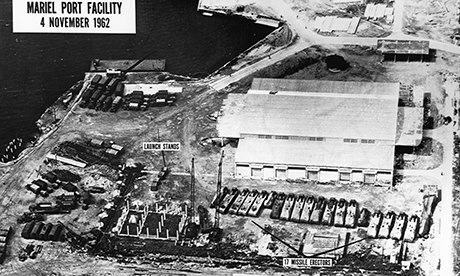 “This place has been steadily run down under bad government management, but in future perhaps it can be taken over by private investors. When things are in government hands they go slowly. When private firms take over, they go fast,” he said. Among the reasons for change are a sclerotic economy, exacerbated by the US embargo and a fast-ageing society that looks likely to raise the costs of Cuba’s impressive healthcare system, which the government has pledged to maintain. But there are many obstacles to reform, much to the frustration of local businesses. 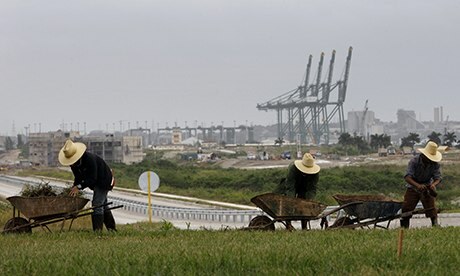 The state sector is still thought to account for more than 90% of the Cuban economy. Sceptics doubt that the many small steps taken over the past two years will prompt huge long-term change, particularly while Castro talks of “updating” socialism rather than instituting market reforms. What is certain is that there is no turning back. Castro has declared the modernisation of the economy “irreversible”. And while his comments on the evolving hybrid of socialism and capitalism may sometimes seem contradictory, the same was also true of Chinese leaders during the early stages of their country’s opening up. China’s success was initially driven by a flood of foreign, particularly US, capital. Whether Cuba’s reforms can be as transformative will also depend to a large extent on the outside world. Barack Obama has called for a new approach, and the country’s leaders shook hands for the first time in a decade at the memorial service for Nelson Mandela. Despite its sleepy appearance Mariel has played a central role in Cuba’s modern history. This entry was posted in The Blockade? and tagged cuba, embargo, Mariel. Bookmark the permalink.